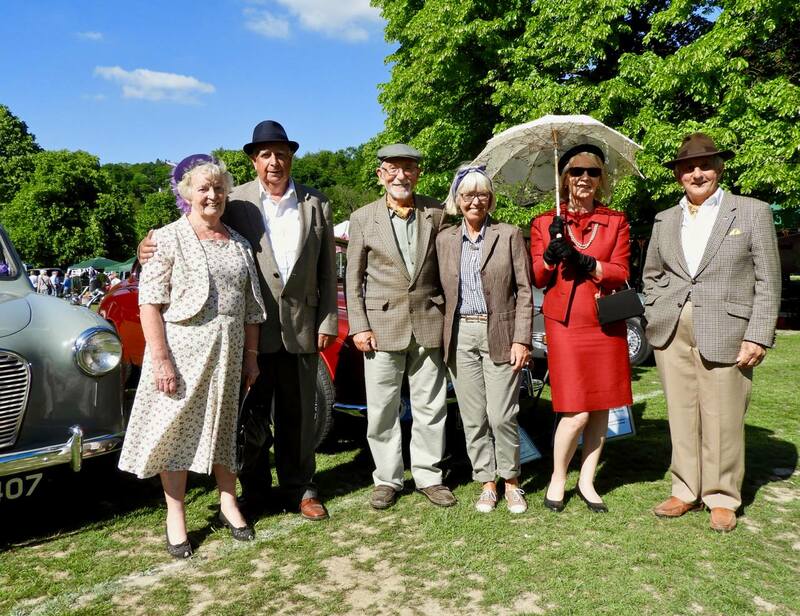 The Haslemere Classic Car show, sponsored by Keats Estate Agents, took place under glorious blue skies on Sunday 27th June. Visitors enjoyed viewing around 200 beautiful pre-1978 classic cars. There were also more than 50 quality stalls selling a variety of goods, and entertainment was provided by George’s Coastline Jazz Band. 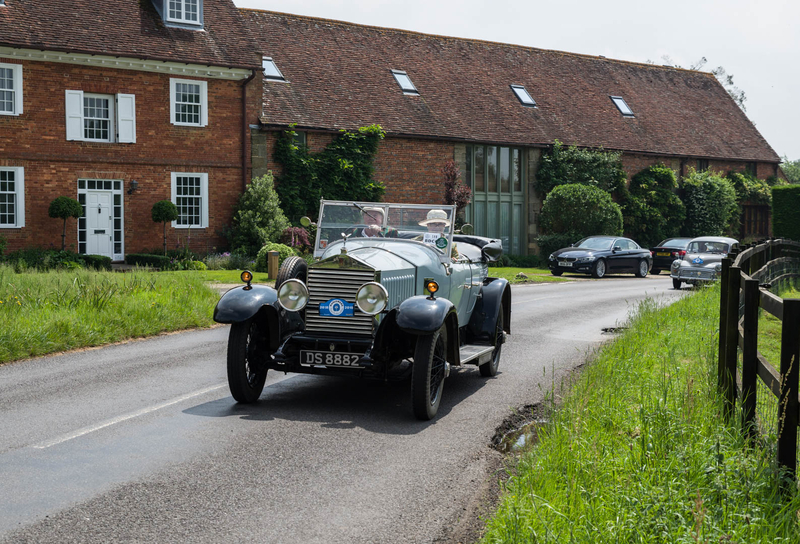 For 90 entrants the day began with breakfast before they set off on a tour, heading South of the town to Midhurst and then through Selham, Graffham and Fittleworth for a stop at the Stag Inn, Balls Cross. They continued via Wisborough Green, Alford and Shillinglee, back to Lion Green. The route is devised by show organiser James Ewing who often navigates on classic European events. The cars made a wonderful display covering nearly 100 years of motoring, with cars of all eras, styles and sizes from the smallest microcar to huge American cruisers. Many had been in families for years while others were new acquisitions. Crews were encouraged to dress in period to match their vehicles and Adrian Hardwick of Keats Estate and Letting Agents, the shows supporters, judged the entrants and choose the worthy winners. After some discussion the ‘style' award went to Dr David Nancekievill from Haslemere with his immaculate prize winning Daimler V8 250, beautifully attired wife Janet and some amazing period accessories. Runners up were Alec Fry from Midhurst in an Austin A30 and Ivor Tanner from Ifold in a Riley 1.5. 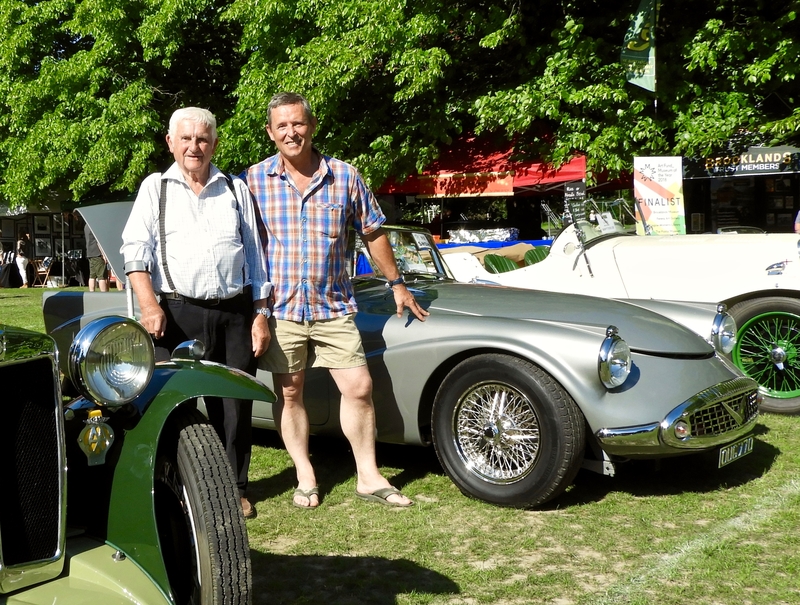 Adrian Hardwick said: "It was fantastic for Keats to be a part of this special 10th anniversary event which was enjoyed by so many classic car enthusiasts and visitors to Lion Green. As judge of ‘the best dressed car and crew’ I enjoyed meeting all of the crews and finding out about their outfits and there were some amazing stories as to why they became the proud owners of their cars.